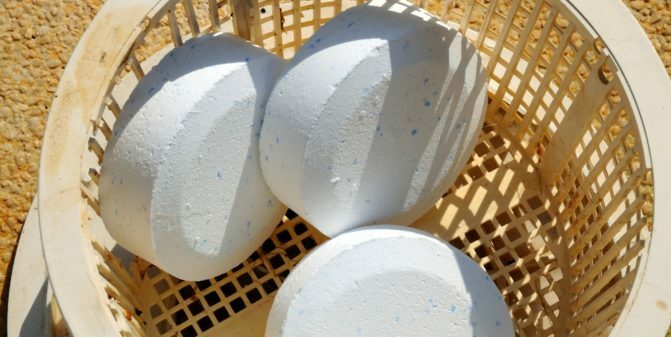 How Do Slow Release Chlorine Tabs Work? There is only so much splashing around and swimming your kids will want to do before becoming bored with your backyard swimming pool. 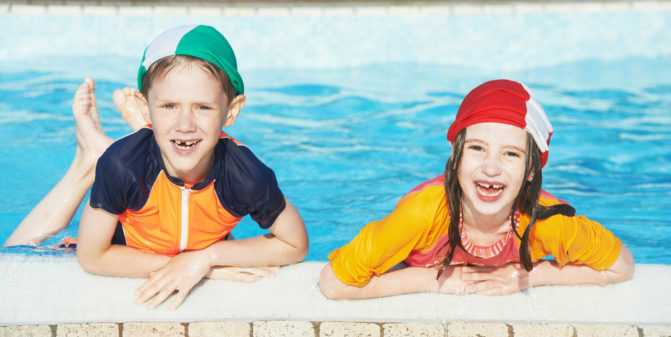 If you want to make the most of your investment, and keep them entertained, try turning the ordinary pool into a wet game zone that they won’t want to leave! Every parent wants to see their children having fun inside their swimming pool, even their young toddlers. However, the dangers of a swimming pool present a dilemma, and you also feel the compulsion to protect your toddler. Float devices and toys can help to bridge that gap between your baby being totally dependent on you in the pool, to the point where they are able to just jump in and have fun on their own. Summer is pool time, but it is also the perfect time to plan your family holiday. 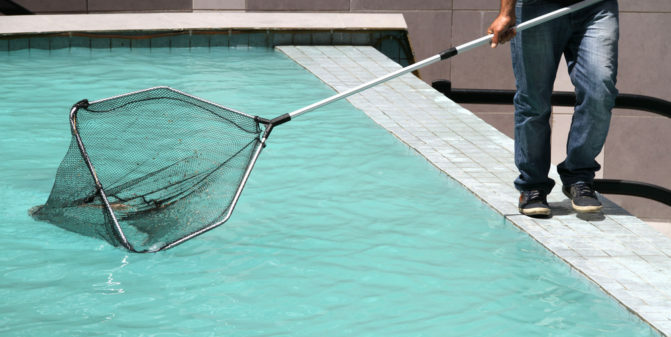 If you are planning a trip out of town, you should be preparing your pool ahead of time, so that you don’t come home to an algae filled disaster. Pool toys and floating lounges are a must have for summer fun. They provide extra entertainment for kids of all sizes, and an extra spot for moms and dads to relax. 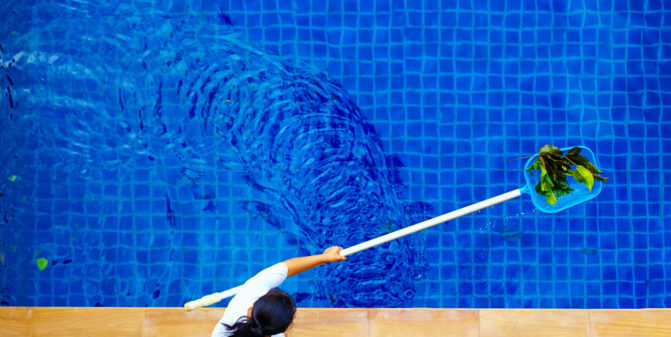 You invest a good deal of time, energy and money in keeping your pool water clean and fresh, so why take the chance of dirtying that with pool accessories that are full of bacteria. 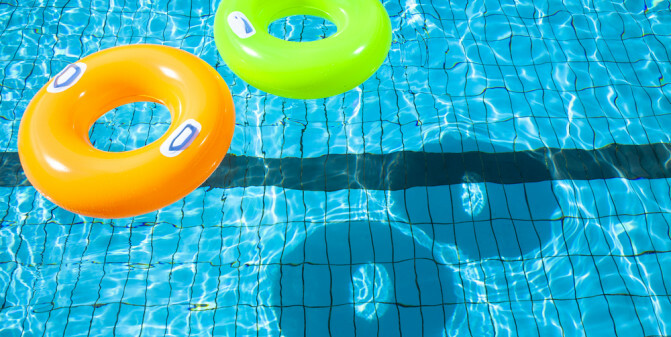 Giving your pool accessories a once over at the start of the season will ensure that the shock you just gave your swimming pool will stay effective. Floating lounge chairs in your swimming pool is the epitome of summer luxury. What better way is there to soak up the sun then with cooling waters right at your fingertips? Of course not all floating lounge chairs for in ground pools are built the same. Before getting started on purchasing yours, you should know what your options are and what it is you want in your own little pocket of paradise. Not all pools are built to last. 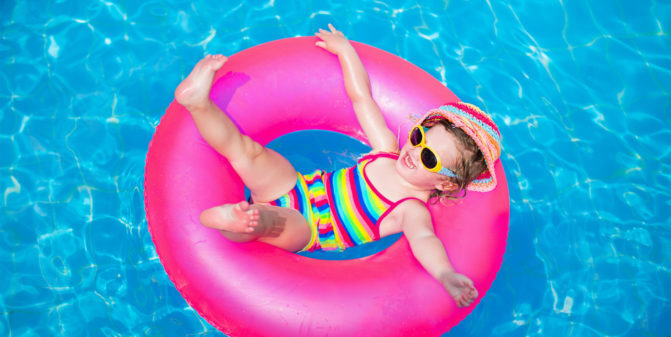 Over the last couple of decades, some manufacturers have taken the kiddie pool to a higher level, offering larger swimming pools that can actually be taken down at the end of the season and stored. 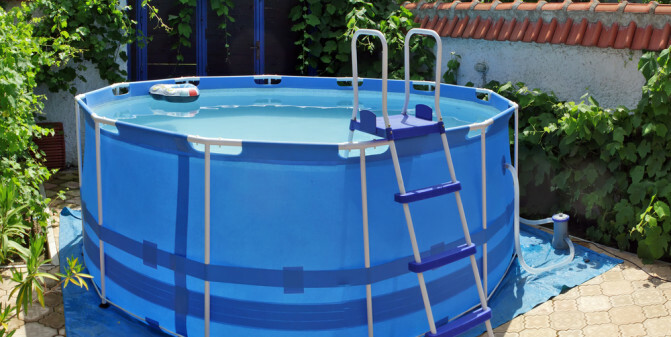 These temporary above ground swimming pools may offer temporary relief from the heat, but are they really worth the hassle when compared to a traditional above ground pool? Body builders know that the key to achieving bulk lies in resistance. The water inside of a pool provides a natural resistance, making it an effective (and cool) place to stage your workouts. 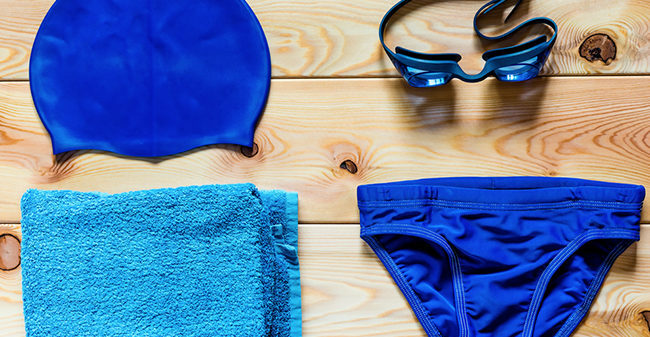 Swimming pool exercise can be more than laps from one end to the other. By using some typical POOL TOYS or not so typical exercise equipment, your swimming pool can double as your at home gym.